Benjamin Alves will replace Rocco Nacino as Sanya Lopez's leading man in the upcoming GMA-7 series, Dahil sa Pag-ibig. Formerly titled Blood Money, it was announced during the story conference that Sanya and Rocco were teaming up anew in this series. This comes two years after their last show together, Haplos. However, the omnibus plug of the 2019 second quarter shows of GMA-7 indicated that Benjamin will now be part of the series. Winwyn Marquez and Pancho Magno, who were present at the story conference, are retained as cast members of the show. Facebook page SOLID Kapuso Latest Updates also uploaded a photo of Sanya, Benjamin, Winwyn, and Pancho together in a summer shoot. 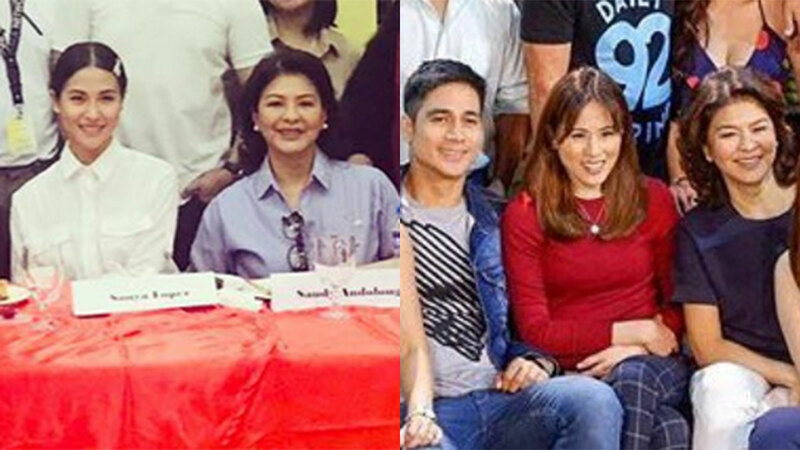 Aside from the four leads, Dahil sa Pag-ibig also features the comeback of Sandy Andolong to the Kapuso network. She is still part of the ABS-CBN sitcom Home Sweetie Home. An airing date has yet to be announced for Dahil sa Pag-ibig. It is rumored that it will replace the afternoon drama series, Inagaw na Bituin, starring Sunshine Dizon, Angelika dela Cruz, Angelu de Leon, and teen stars Kyline Alcantara and Therese Malvar.